Anita’s credential are extensive, including over 30 years of formal study and experience in management for global $7Billion company, high level sales, business and personal development, Harvard Business and Teaching at Ryerson University. Yet with all this, she still attributes her most valuable learning to the University of Life, which she passionately shares in her book Vitality Knocks. 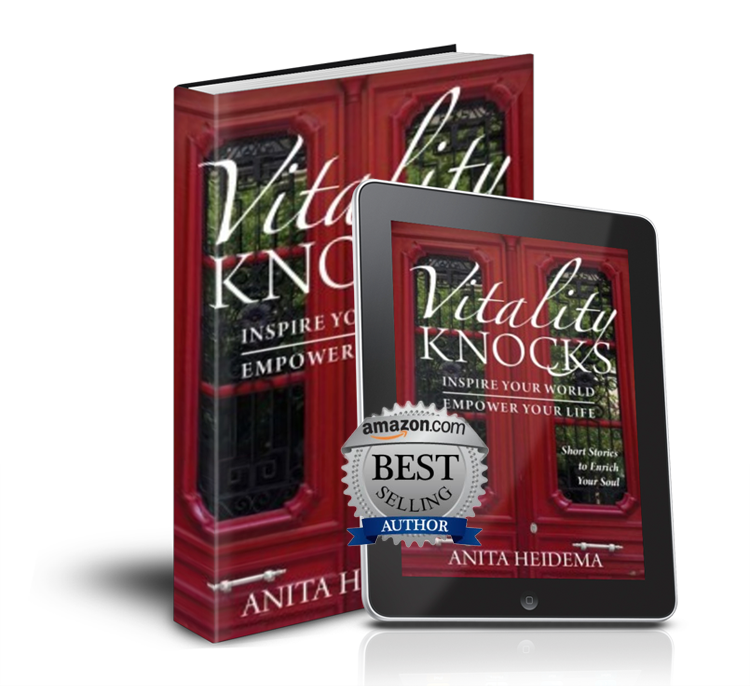 “Your best lesson are learned in life if you listen” Book Vitality Knocks helps you with this. A motivated and successful entrepreneur, hard-working single Mom of two wonderful children, loving caregiver, and health awareness advocate and mentor, Anita is a great role model of what is possible when you never give up on your dreams and are committed to your own personal change and growth. Her motto is “instill a internal legacy to live fully and to your true potential. Learn, experience and love”. Anita Heidema is a Mindset Rich Life & Business Strategist to executives and entrepreneurs who what to live a powerful passionate lives. Anita is also a international speaker, Amazon best selling author to Vitality Knocks, Host to AhHa Moments to Success Podcast, creator of the Rich Life & Biz System and various other programs as travel destinations getaways and online.